Google's man of the hour, Wilbur Lincoln Scoville, was an award-winning chemist who is responsible for sparing our taste buds some experimentation. Ever notice how spicy dishes on your menu often have a symbol of a chilli or two to denote how fiery the dish is? Well, you have Scoville to thank for that. 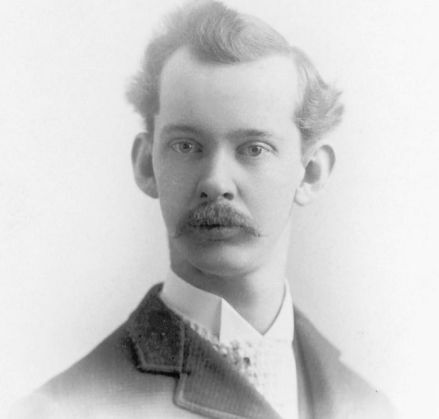 The researcher and pharmacology professor - who was born in Bridgeport, Connecticut on 22 January, 1865 - was the second vice-chairman of the American Pharmaceutical Association. His book, The Art of Compounding, makes one of the earliest mentions of milk as an antidote for pepper heat. It is commonly known that chillies are credited for helping weight loss, inducing labour and relieving pain. Before Wilbur Scoville, however, no one knew how to measure a pepper's "heat". He is credited for inventing the 'Scoville organoleptic test' - a scale of 'hotness'. Here's how it works. The fiery bell pepper, for example, gets a zero on Scoville's heat unit. Not too bad, eh? That sounds like a pepper we could get used to. But what about the Trinidad Morgua Sorpion pepper? This pepper is just as deadly as it sounds - it records over 2 million in Scoville heat units. Interestingly, Scoville's method has been the scale to measure the spiciness of peppers for over 100 years now. On Scoville's 151st birthday, Google honoured him with a 'spicy' animated doodle. The interactive doodle asks visitors to assess the hotness of the peppers. Users can fire an ice cream at the chilli to neutralise its heat. The game gets tougher with every level.